That is an utter non-issue on a Mac. Simply make one last Time Machine backup before the drive switch, then restore from Time Machine afterwards. That's even the process when switching to a completely new Mac – in my case I once even switched machines, architectures and OS versions all in one go, from a PowerMac G5 running Leopard to an Intel iMac under Snow Leopard. Completely painless and everything was still there exactly where and as it was on the old machine, down to the last application preference and to the last document. You should have an up-to-date Time Machine backup at all times anyway, not least because it is so incredibly easy to maintain. One of the huge advantages of Fusion Drive is that I will be able to build in an additional SSD into my Late 2009 iMac, fuse it with the regular HD and then restore the Time Machine backup to the fused drives exactly and with zero changes to the directory structure, reconnecting the new copy to the Time Machine history so that every directory will retain its full backup history right back to 2008 while still auto-optimizing performance. That is as close to perfect as it gets.
" I’m personally a much bigger fan of going all solid state and manually segmenting your large media files onto HDD arrays, but perhaps that’s me being set in my ways (or just me being right, not sure which one)." I don't want to complain, Anand, but your criticism is dumb. Like EVERYONE, as soon as it comes to iMacs and Mac Minis, reviewers seem to lose their minds and forget that USB3 exists. - create a symlink from ~/Documents (or whatever it is you think you really want to be on SSD) to the USB3 SSD. 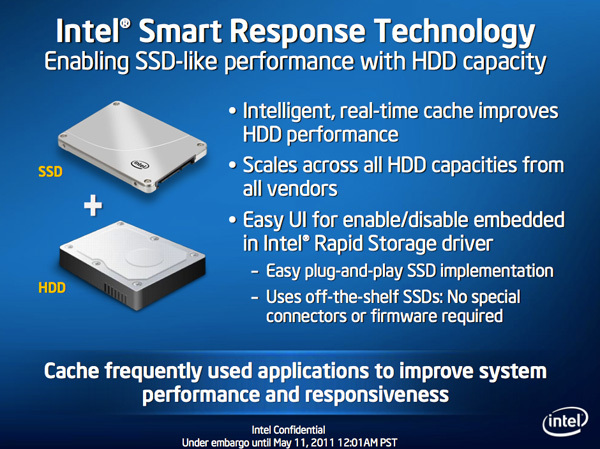 - if one creates a 3rd party fusion device via CLI, does it actually engage in this smart transfer of data between SSD and HD? I've seen different claims on the net, and it's not clear to me, if one fuses two USB devices, how the kernel would know that one is SSD and the other is HD. - can one boot off such a 3rd party fusion device? My instincts would be yes, because one can boot off AppleRAID devices, and this is a later generation of tech, but I've not seen this confirmed. It IS possible that, right now, the mac Mini and iMac have a special version of 10.8.2, and so certain functionalities will not be generally exposed until 10.8.3. If someone has access to an early 10.8.3 release I would, for example, like to see what happens if one takes an older mac mini, and fuses its internal HD with a USB SSD. Can we boot it? Do we get the same sort of data back-and-forth that is described here? - where in the kernel are the hooks that decide to move data back and forth? If, for example, I create a JBOD of an SSD plus HD (using AppleRaid) I assume I will NOT get this sort of back and forth motion, just the usual Apple hotfile motion. But is that assumption wrong? - can one boot off such a 3rd party fusion device? My instincts would be yes, because one can boot off AppleRAID devices, and this is a later generation of tech, but I've not seen this confirmed. My personal experience with a "home made" fusion setup in my 3+ year old MacBook Pro is that does seem to be the full fusion experience. "About the only difference between how I manually organize my data and how Fusion Drive does it is I put my documents and AnandTech folder on my SSD by default. I don’t do this just for performance, but more for reliability. My HDD is more likely to die than my SSD." 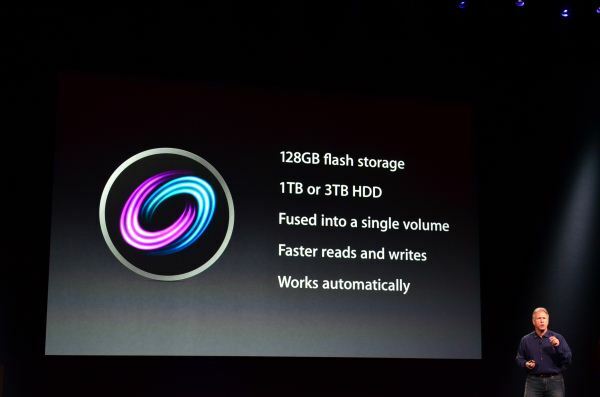 So Fusion Drive is essentially a RAID-0. If the spinning drive dies, the whole thing dies. So it doesn't matter how you organize the files. With this, you just let it do its thing and make sure to keep proper backups.